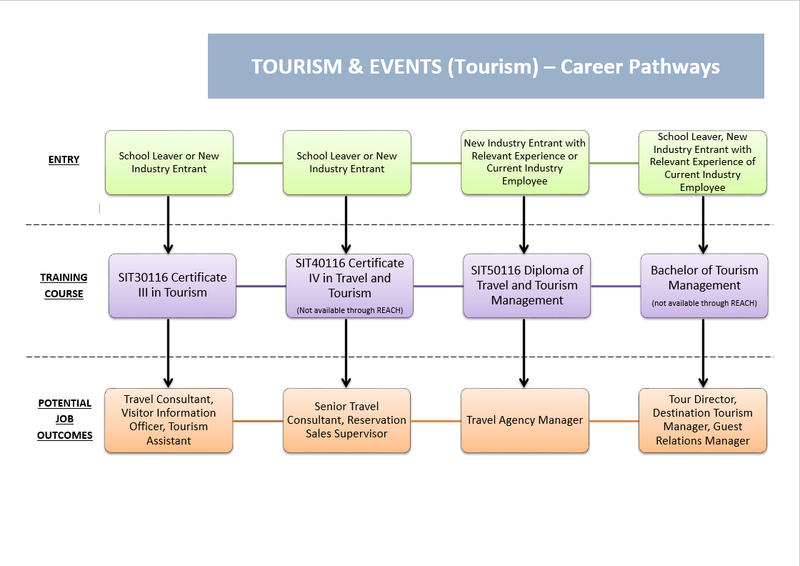 Overview: This qualification reflects the role of individuals who use a range of well-developed tourism service, sales or operational skills. They use judgement and have a sound knowledge of industry operations. They work with some independence and under limited supervision and may provide operational advice and support to team members. This qualification provides a pathway to work in many tourism industry sectors and for a diversity of employers including tour operators, inbound tour operators, visitor information centers, attractions, cultural and heritage sites and tourism businesses requiring multi-skilled employees. Upon Completion of the qualification you may proceed to SIT40116 Certificate IV in Travel and Tourism or to Certificate IV qualifications in any service industry areas. Work Placement: 80 hours minimum work placement in a tourism environment is compulsory for this qualification. Work Placement Insurance will be provided by REACH for Training. This qualification may be delivered as a traineeship program.